You are invited to take the NE MN Synod Youth Ministry Survey! been extended to April 15th! Continuing Ed Events - New Listings! Story Starter Question of the Week! What What faith practice do you find most helpful? At a recent network meeting with youth workers, a leader shared a blog by Sara Miles, where she talks about the most important word in the Bible. And what is that word? "With. And so we open our worship saying: the Lord be with you. And so we proclaim that the Word made flesh came to dwell with us. And so we call his name Emmanuel, meaning: God with us. And so we bless our gatherings saying: the grace of our Lord Jesus Christ, and the love of Christ, and the fellowship of the Holy Spirit be with us all. Because God is not actually for us: except in my crazy, private triumphalist fantasies in which God, who takes my side always, will magically appear and smash my enemies. God is not doing nice things for us, like strangers on mission trips who appear, hand out random goodies and go home. God is not for us in the sense that God is always going to be giving us what we want, protecting us from illness and harm, and making us rich. God's just with us. God sticks with us. Accompanies us. Delights in us, plays with us, suffers and abides with us. In trouble and in doubt, when everything goes perfectly and when things fall apart: God is with us." Wherever your life, faith, and ministry journeys are taking you these days...may you know, feel and remember: God is with you. Thank you to all those who have taken the NE MN Synod Youth Ministry Survey! If you have not done so yet, please do so today! NE MN Synod youth ministry teams will be doing some re-visioning work in the coming months in order to continue to support synod congregations in faith formation with middle school and high school youth. Your input in this process is invaluable! Leaders from all of our synod congregations are invited to fill out the survey. Whether your congregation is large or small, has a vibrant youth ministry program or if you wonder what youth look like - we need your story to have a complete picture! More than one leader from a congregation can take the survey - the more perspectives we have, the better! The survey closes April 11, 2016. Please share this URL with others in your congregation. If you have trouble accessing the online form, email Catherine for a hard copy. Thank you in advance for sharing your congregation's youth ministry story with us! Early registration deadline is a week from Friday! The EcoFaith Youth Camp is a week long day camp for high school youth and their adult leaders that explores the intersection between environmental, economic, and racial justice in a faith context. Each day will include field trips, activities and conversations with different local groups including organic farmers, canoeing the St. Louis river, and meeting leaders from local indigenous communities. There will also be one night of camping along the north shore as we visit an "off the grid" home! 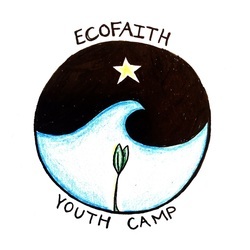 The EcoFaith Youth camp is sponsored by the NE MN Synod, in partnership with the NE MN Synod Creation Care Task Force and Peace United Church of Christ. For groups outside the Duluth area, free housing options at local congregations are available. Contact Catherine Anderson for more information. More information can be found at www.nemnsynod.org/Ecofaith. Are you concerned about the social and ecological situations our world faces? Do you long to see your congregation more engaged with these issues in your community? Do you love your church so much that it sometimes frustrates you? If so, then join us this year for the 11th Augsburg College Youth Theology Institute. As a participant, you will gain the skills and knowledge that will empower you to help lead your congregation beyond its walls and into the public square for the common good. The College of St. Scholastica invites you to deepen your faith, discover theological resources to deepen your thinking and your understanding of the Bible, explore your spirituality, and learn how to listen to your true life's calling, all within the beauty of the northwoods and Lake Superior. Service learning moves service projects and mission trips from one-time events to experiences that open minds and hearts to new ways of thinking and acting. For example, youth might ponder tough questions about poverty in your hometown, notice the incredible artistry within God's creation, or glimpse the wisdom of a senior citizen in a simple conversation. By emphasizing adequate preparation, intentional reflection, and sharing stories with others, service experiences can be brought to life in profound, astonishing ways. This webinar is part of the Practice Discipleship series on "Wonder." The webinars are FREE! But you must pre-register by clicking here. Can't make the date? No problem! All webinars are recorded, and available at www.practicediscipleship.org. than projects and trips, service can become a lifelong spiritual practice and way of life. How can stories shape short and longer service projects and mission trips into life and faith transforming experiences? The Discipleship Challenge Study Guide, "Stories of Service" is a helpful resource for youth, adults and intergenerational groups, to use in preparation for summer mission trip and for other service projects in the community and beyond. This unique training experience changes lives, equips leaders, and transforms congregations in effective and creative faith formation, culminating in creating a ministry plan that will guide your efforts with children, youth, and families. Lutheran Church of the Cross (LCC) in Nisswa, MN, is seeking a full-time Director of Youth and Family Ministry to revitalize the ministry to youth in grades 7-12 and their families. We seek someone who has the skills for relational ministry to both youth and their parents. This person will also be part of a team that works on an integrated birth-to-graduation children's and youth ministry structure at LCC. Our congregational mission centering on the six marks of discipleship (prayer, scripture reading, worship, service in Christ's name, stewardship and hospitality will be a central part of all youth and family ministry programming. Most importantly, a love and passion for Christ and youth ministry is essential. The person in this position will work closely with the Director of Children and Family Ministry and Associate Pastor. For more information or questions, please contact Pastor Andy Smith at 218-963-2564. Resumes can be sent to: Lutheran Church of the Cross, Attn: Pastor Andy Smith, PO Box 29, Nisswa, MN 56468.